so, you got the job? 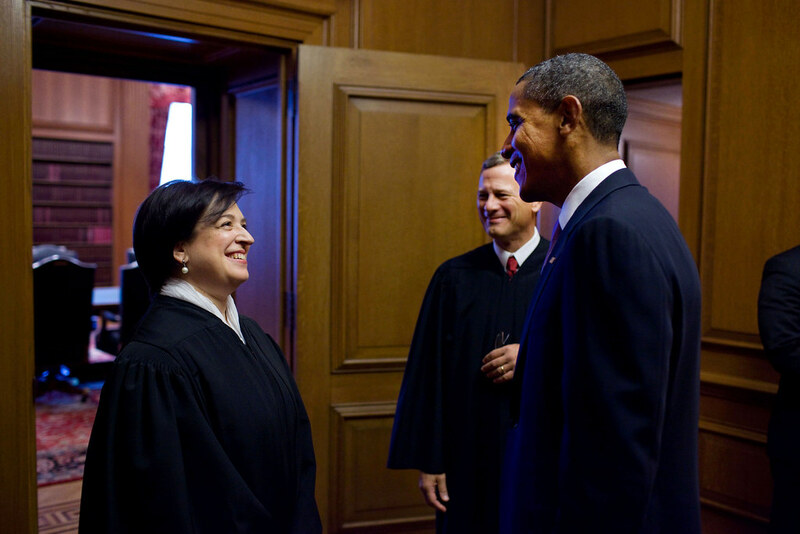 Artist rendering of the investiture ceremony for Supreme Court Justice Elena Kagan, Oct. 1, at the court in Washington. From left are, Justices Sonia Sotomayor, Stephen Breyer, Clarence Thomas, Antonin Scalia, Chief Justice John Roberts, Kagan, Justices Anthony Kennedy, Ruth Bader Ginsburg and Samuel Alito. Attorney General Eric Holder, seated, foreground, left, and President Barack Obama, seated, foreground, right, look on. Hey Chipsticks. You’ve got so much good stuff here today. I sure wish I could stick around to take it all in, but I’m on my way to the One Nation DC march (tomorrow @ noon) so I’m gonna have to check out these goodies when I get back. Hey Hachikō, fantastic, you’re going to the march! Good on you, the more who make their voices heard the merrier! Have a great weekend too, take care. Thank you for marching, I so wanted to go…..but my responsibilities keep me at home. I did donate what would have been my air fare, hopefully to help others attend that may not otherwise be able. I will be watching to see if our MSM gives it comparable attention to that given to Tea Party events. Hopefully, they step up to the plate and give the march it’s deserved attention.